Zumbara is a community in which talents and experiences are shared, where time is used instead of Money. In Zumbara, we believe in the power and the value of the community. We say that the concept of “time” should be at the center of life, at the place where it belongs. We think that time will run out as we save it. We believe that we can make our lives easier and more beautiful, we can generate healthy and secure communities when we spend time for each other, share our knowledge, skills, talents and experiences with others. We say we already have what we need. 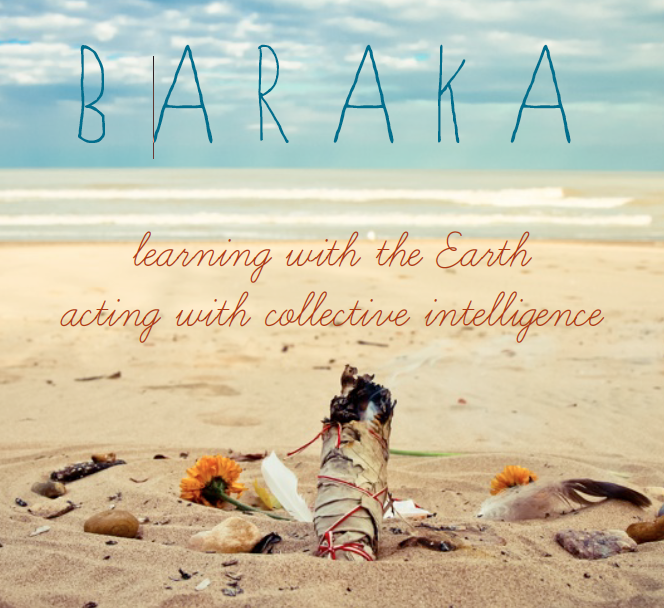 BARAKA is an Earth school and learning community that creates spaces and offer experiences for learning to build capacity and skills to facilitate the emergence of the new, to activate collective heart & intelligence in individuals and communities, to cultivate resilience on a personal and collective level and to sustain the spirit of “unity, solidarity, creativity, possibility” in our homes, neighborhoods, workplaces.